Today, Grant Street Group announced that the County of San Mateo California and Treasurer-Tax Collector, Sandie Arnott, selected TaxSys® as the new county property tax collection and billing system. 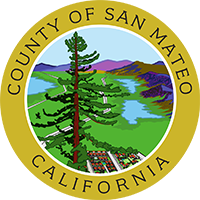 Home to over 700,000 citizens and Silicon Valley, San Mateo will become the first California county to implement TaxSys, using the system to collect over $1.5 billion in property taxes each year. TaxSys, the country’s most widely used cloud-based property tax collection and revenue management system, processes over $18 billion in property taxes every year using Grant Street’s secure private government cloud. In addition to processing transient occupancy taxes and a variety of license and service fees, TaxSys is fully integrated with several special purpose applications including cashiering, e-payment processing and online tax sales. The selection follows a competitive County procurement process which began in 2016. The County conducted a thorough evaluation process, visiting the offices of county tax collectors currently using TaxSys. The implementation team will consist of 24 Grant Street and 10 County staff members. TouristExpress™ for online transient occupancy tax processing. For more information, contact John McCarthy via phone at 412-246-1321 or via email at John.McCarthy@GrantStreet.com. Grant Street Group (www.GrantStreet.com) has been supplying software as a service to more than 6,800 government and financial institutions since 1997. The Company specializes in cloud-based software for tax collection, e-payments and auctions, and is the nation’s only supplier of fully-hosted tax collection and management software including e-payment processing and online auctions of tax liens and tax deeds. Grant Street is also the world’s largest internet auctioneer, conducting online auctions of bonds, notes, CDs, tax certificates, tax deeds, foreclosures and other financial and legal instruments with a value exceeding $12 trillion.